This entry was posted in Food, Recipes and tagged food, recipe, staples, vegetables. Bookmark the permalink. Now that really looks good. I can’t wait until we have some fresh peppers and eggplants to work with in the kitchen. Oh, my…you might actually end up getting to eat healthy if you keep this up! ;D You rock, girlfriend! Pumpkin is good too with a bit of rosemary …. and celeriac is delicious but takes ages . Trouble is , a bowl of roasted vegetables in the fridge tends to get snacked on . I need more will power , perhaps ! 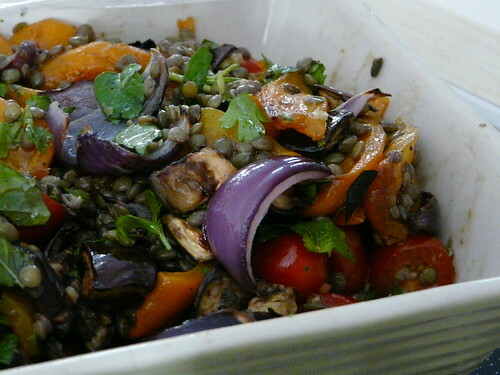 I love roasted veg too – and find it seems to freeze ok too, which is handy. Never done roasted fennel – must try that, it looks deliciously caramelised and glossy. 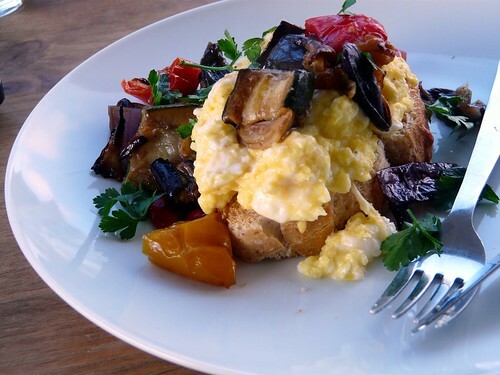 Agree about keeping the aubergine separate, it works much better that way! Lovely! I can’t resist a big batch of roasted vegetables either. Like you we have them with pasta and with puy lentils but I’ve never tried them with scrambled eggs so I must give that a go. If you haven’t tried it, putting a few thin slices of lemon in with the veg makes them really tasty. I love roasted veggies – and I love all the versatile ways you use them! Absolutely delicious. Always good to have a big bowlful of roasted veg on hand to go with grilled meats or stir through pasta. Great photos as always – I’m really craving these now! 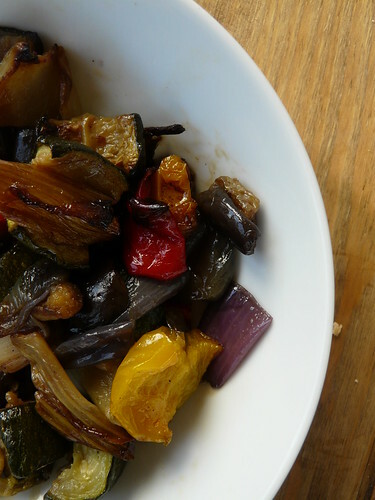 Actually, I don’t make roasted vegetables nearly as often as I should – that needs to change pronto. I tried your recipe, only with cucchini instead of aubergine (no aubergines on our fruit market now), and it turned out to be a real treat. Great, big, wildly colourful, delicious-smelling pile of vegetable goodness – perfect for dinner with some roasted potatoes (roasted separately). Thanks for posting this after all! Wow, this looks so yummy! Now I am hungry . . .